For the First time we can bring you Duel Amps all in shiny package. – It has been talked about, it has been tried and tested.. now it has been perfected and profiled!. the wait is finally over! A tried and tested mixture of sort after boutique guitar amps. – hand picked by us at TheAmpFactory for a new twist on sound. 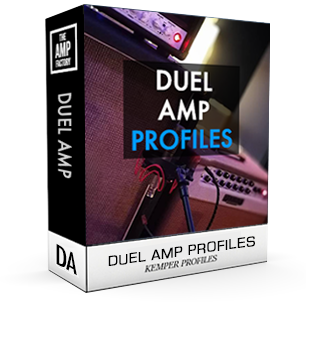 – experience the high definition tones you get from having 2 amps blended into one. – An array of different mics and setups were used to capture this. – and lots of attention to detail. we are proud of the results and will surely Heighten any music production. Seeking to re-create the sound of: – TwoRock Bi-Onyx, Fuchs Train 45, EVH 5150, Mesa Lonestar, EvilRobot, Redplate BluesMachine, Marshall JtM, H&K Statesman, VoxAC30, ToneKing Metro, Cornell Romany, Rivera 33..